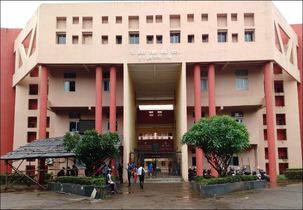 Mumbai University IDOL which is one of the premier universities in India is well received as Mumbai University Institute of Distance Education, It has an open learning and distance education which has a different approach to convey education to seekers who would like to resume their unfinished education because of the economic, social and consideration and hence the directorate of correspondence courses was established in the year 1971-1972. Passed 10+2 examination or Diploma 3 years from recognized University. HSC including mathematics subjects and graduation degree in any domain with 45% aggregate marks. Bachelor's degree in any domain with minimum 2 years working experience. Are students outside India eligible?? fees structure and in which subject mba is specialized list of courses .? will i get admission now ? Write Your Reviews on "Institute of distance learning university of Mumbai"
Are you Interested inInstitute of distance learning university of Mumbai"? Please provide the following details. Ask Question on "Institute of distance learning university of Mumbai"?